In 2015, five fatalities involved dogs from two or more different breeds, thus producing a death count total of 43 rather than 36. Seven dog breeds each contributed to one death, including: German shepherd-mix, husky, lab-mix, boxer, golden retriever-mix, Rhodesian ridgeback-mix, and mixed-breed. 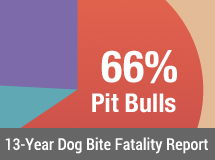 In the year of 2015, the combination of pit bulls (28), their close cousins, American bulldogs (2), and rottweilers (4) contributed to 94% (34) of all dog bite-related fatalities. Both American bulldog fatalities occurred in Miami-Dade County, Florida. Annual data from 2015 shows that 39% (14) of the fatality victims were children ages 9-years and younger, and 61% (22) were adults, ages 22-years and older. Of the total adults killed by canines in 2015, 64% (14) were ages 60-years and older. Annual data shows that when combining all age groups, male victims (22) were greater in number than female victims (14). Among children ages 9-years and younger, males were excessively victims 79% (11), versus females 21% (3). In 2015, nearly one third, 31% (11), of all dog bite fatality victims were either visiting or living temporarily with the dog's owner when the fatal attack occurred. Children ages 9-years and younger accounted for 82% (9) of these deaths. 50% (18) of all fatalities in 2015 involved more than one dog; 17% (6) involved a pack attack of four or more dogs; 19% (7) involved breeding on the dog owner's property either actively or in the recent past and 6% (2) involved tethered dogs. In 2015, 11% (4) of all fatal attacks were inflicted by dogs rehomed by shelters or rescues. County operated shelters in Buncombe County, North Carolina and Madison County, Tennessee each adopted out a dog that fatally attacked a person. Dog ownership information for 2015 shows that non-family dogs inflicted the majority of dog bite fatalities, 58% (21), up from the 10-year average of 47%. Over two-thirds of all fatal dog attacks, 69% (25), occurred on the dog owner's property. In 2015, 17% (6) of attacks causing death resulted in meaningful criminal charges; down from the 10-year average of 23%. 2015 also marked the first time a medical examiner ruled "suicide" as the manner of death in a fatal dog mauling. 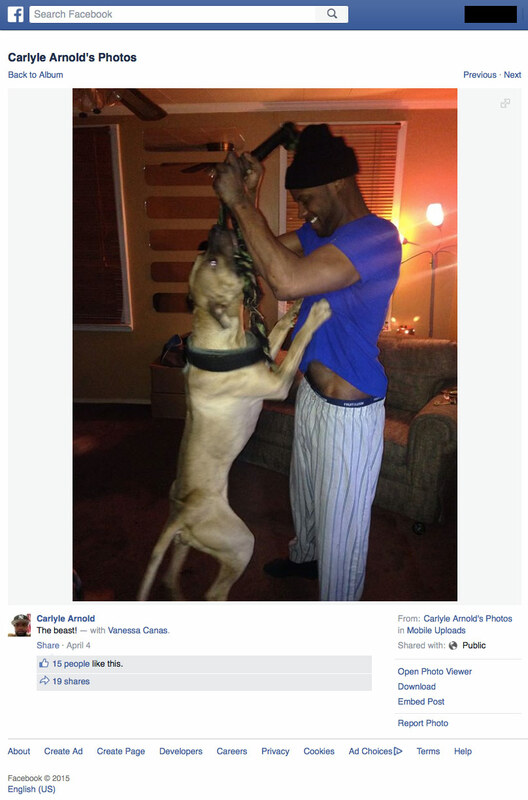 Texas once again led all states in lethal dog attacks in 2015 with 5 deaths. Florida, New York and Oklahoma followed, each incurring 3 deaths. Arkansas, California, Michigan, North Carolina and West Virginia followed, each with 2 deaths. The below items were issued when annual statistics were originally published on February 19, 2016. New fatalities and updates to our 2015 Fatality Statistics may have been added since. Change log: In April 2018, the 2015 Dog Bite Fatality Statistics were reissued with the following significant changes: The "unattended death" of Anthony Wind became classified as a dog bite fatality. The death of Werner Vogt was added as well. The Christian County Sherriff's Office had persisted for months with the idea that Vogt had been attacked by a "wild cat" instead of dogs, which is why we had to exclude Vogt from our February 19, 2016 release of annual statistics. Less significant changes include: In February 2017, statistics were adjusted to show that two additional attacks resulted in criminal charges after initial publication. The cases involved the deaths of Annie Williams (just four days after publication) and Edgar Brown. Most popular breed in U.S. ain’t nothing but a hound dog, by Merritt Clifton, Animals 24-7, July 20, 2015 (animals24-7.org). The most recent calculation by Animals 24-7 was completed in July 2015. Breed populations are determined annually by searching over 56 million online classified ad listing dogs for sale and adoption.